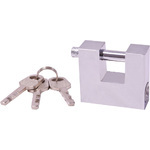 A strong and heavy duty padlock with a steel body and satin finish. 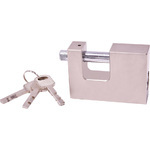 Featuring a heat-treated lock beam with copper core for high security and confidence. Ideal for storage units, sheds, garages and roller shutters. 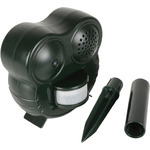 Keep unwanted animals out of your garden, yard or rubbish bins with this compact repeller. 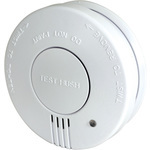 Equipped with a PIR motion sensor, the unit is only activated when movement is detected nearby, emitting ultrasonic frequencies and triggering a red LED to humanely drive animals away from your property. The rugged, weatherproof housing can be either hung on a wall or fence via the keyhole slots on the rear, or mounted using the garden spike (provided) to achieve the optimum coverage. 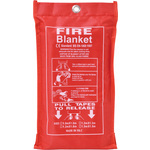 Effective against animals including dogs, cats, mice, rats, foxes and more.